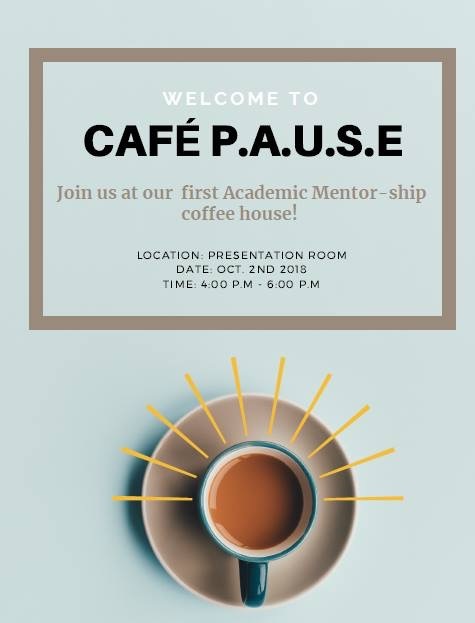 FIRST P.A.U.S.E EVENT OF THE SCHOOL YEAR IS HERE! Join us on October 2nd, 4-6 PM, in the Presentation Room at the Student Centre for our Academic Mentorship Event, CAFE P.A.U.S.E! This is a great opportunity to get a feel for the Psychology program at UTM by talking to upper year students!